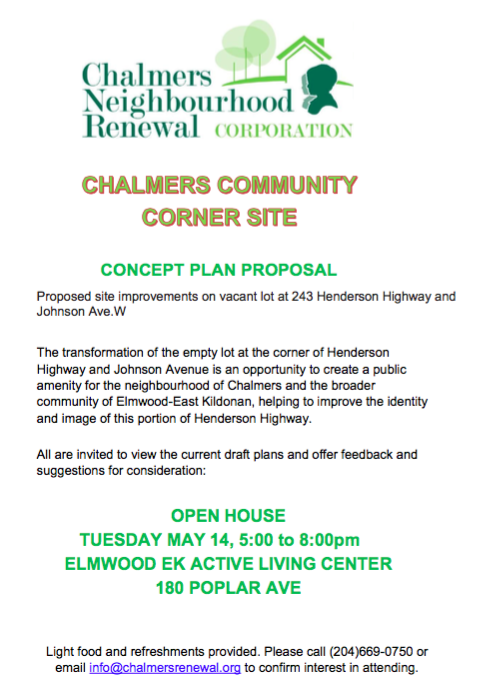 On behalf of the 243 Henderson Working Group and the Chalmers Neighbourhood Renewal Corporation, please accept the invitation (above) to attend our Open House on May 14th from 5-8 pm at 180 Poplar Ave.
On this evening, Draft Concept Plans related to the re-development proposal for the vacant lot at the northeast corner of Henderson and Johnson Ave will be available for review and feedback. Happy Days on Henderson is a popular, family fun day. This year it’s on Saturday, June 8, 2019 from 11:00 a.m. to 3:00 p.m at 81 Henderson Hwy. ( at Talbot Ave.). FREE attractions include Children’s Games, Face Painting, Bouncers, Petting Farm, FIT KIDS display, Bike Valet, Bike Check-ups and free refurbished bikes given away. Police and Fire Department displays, community tables and booths and so much more make this a great event. We hope to see you there! Please help us get the word out about Happy Days! 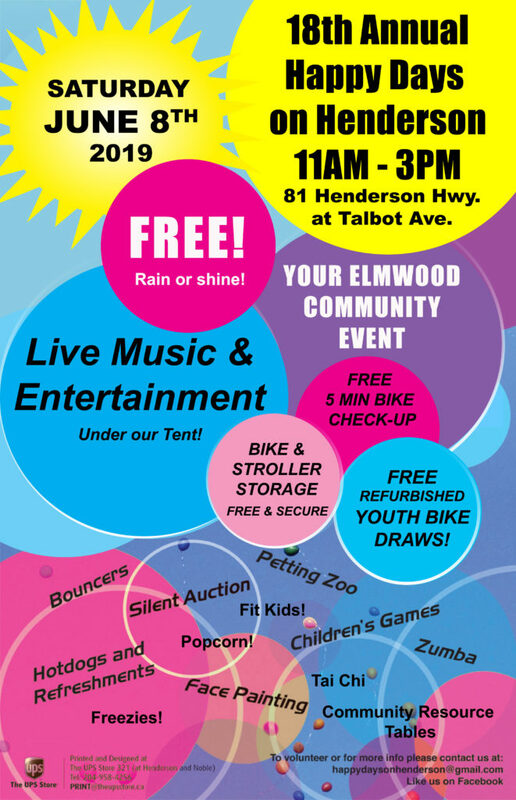 Comments Off on 18th Annual Happy Days on Henderson: June 8th, 2019 at 11:00 am – 3:00 pm, 81 Henderson Hwy. 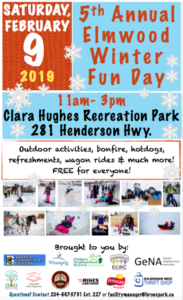 Elmwood Winter Fun Day is just around the corner! 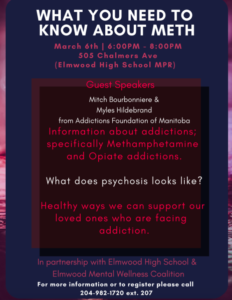 Location: Clara Hughes Recreation Park at 281 Henderson Hwy. Its going to be FREE FUN EVENT for all ages! Share Elmwood Winter Fun Day on Facebook! If you would like a poster(s) or handouts delivered to you please contact me at trinette.konge@gmail.com. TIE Tykes July 2018 Calendar! Comments Off on TIE Tykes July 2018 Calendar!